When William Henry Harrison died in April 1841, just one month after his inauguration, Vice President John Tyler assumed the presidency. It was a controversial move by this Southern gentleman, who had been placed on the fractious Whig ticket with the hero of Tippecanoe in order to sweep Andrew Jackson's Democrats, and their imperial tendencies, out of the White House. Soon Tyler was beset by the Whigs' competing factions. He vetoed the charter for a new Bank of the United States, which he deemed unconstitutional, and was expelled from his own party. In foreign policy, as well, Tyler marched to his own drummer. He engaged secret agents to help resolve a border dispute with Britain and negotiated the annexation of Texas without the Senate's approval. The resulting sectional divisions roiled the country. 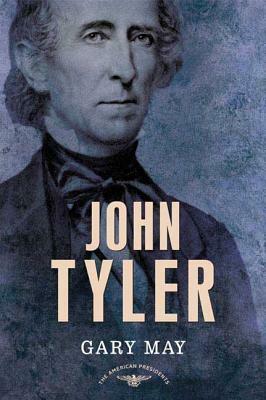 Gary May, a historian known for his dramatic accounts of secret government, sheds new light on Tyler's controversial presidency, which saw him set aside his dedication to the Constitution to gain his two great ambitions: Texas and a place in history.